A residential bathroom in the US, with a shower, with rail-less screen and no bathtub, and a toilet. In the United States, there is a lack of a single, universal definition; this commonly results in discrepancies between advertised and actual number of baths in real estatelistings. Bathrooms are generally categorized as “master bathroom”, containing a shower and a bathtub that is adjoining to the largest bedroom; a “full bathroom” (or “full bath”), containing four plumbing fixtures: a toilet and sink, and either a bathtub with a shower, or a bathtub and a separate shower stall; “half (1/2) bath” (or “powder room”) containing just a toilet and sink; and “3/4 bath” containing toilet, sink, and shower, although the terms vary from market to market. 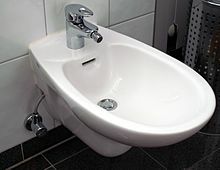 In some U.S. markets, a toilet, sink, and shower are considered a “full bath.” In addition, there is the use of the word “bathroom” to describe a room containing a toilet and a basin, and nothing else. Not all ancient baths were in the style of the large pools that often come to mind when one imagines the Roman baths; the earliest surviving bathtub dates back to 1700 B.C, and hails from the Palace of Knossos in Crete. What is remarkable about this tub is not only the similarity with the baths of today, but also the way in which the plumbing works surrounding it differ so little from modern models. 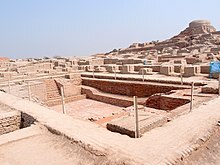 A more advanced prehistoric (15th century BC and before) system of baths and plumbing is to be found in the excavated town of Akrotiri, on the Aegean island of Santorini (Thera). There, alabaster tubs and other bath fittings were found, along with a sophisticated twin plumbing system to transport hot and cold water separately. This was probably because of easy access to geothermic hot springs on this volcanicisland. Both the Greeks and the Romans recognised the value of bathing as an important part of their lifestyles. Writers such as Homer had their heroes bathe in warm water so as to regain their strength; it is perhaps notable that the mother of Achilles bathed him in order to gain his invincibility. Palaces have been uncovered throughout Greece with areas that are dedicated to bathing, spaces with ceramic bathtubs, as well as sophisticated drainage systems. Homer uses the word λοετρά, loetrá, “baths”, later λουτρά, loutrá, from the verb λούειν, loúein, to bathe. The same root finds an even earlier attestation on Linear B tablets, in the name of the River Lousios (“bathing” [river]), in Arcadia. Public baths are mentioned by the comedian Aristophanes as βαλανεία, balaneía (sing. : βαλανείον, balaneíon, Latinized as balneum, a “balneary”).